A natural detangler that works wonders on curly hair without any harsh ingredients. This recipe will leave your hair soft and manageable. Get all the details on this and my new go to detergent that delivers powerful results without harshness. My daughter has beautiful curly hair, the kind I had long ago and never really appreciated. Her hair is very fine and needs special care to help keep its natural texture. She washes and conditions with gentle products and we use a detangler or leave in conditioner to help comb through her locks after a shower. 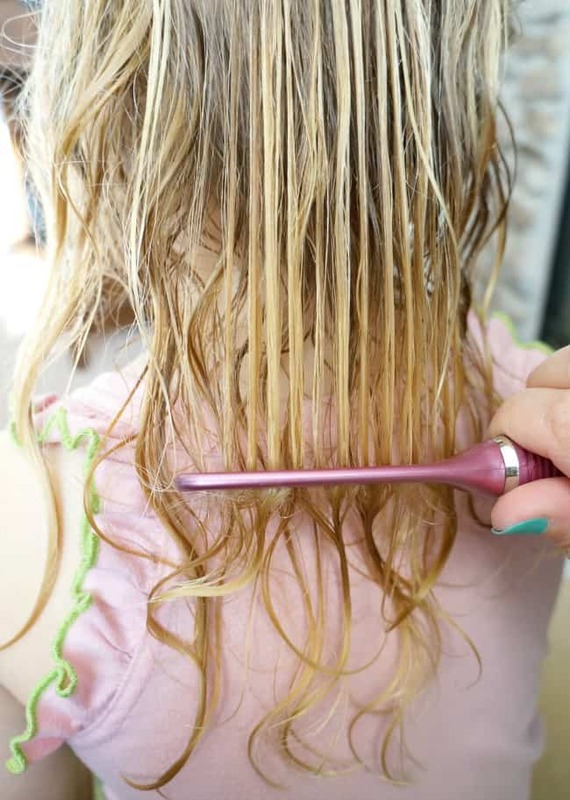 We’ve tried store bought products but haven’t found the right one that won’t weigh her hair down or one that isn’t filled with harsh ingredients that could irritate her sensitive skin. I decided to try a new spin on detangler and create my own. We all love the results, it’s our new go-to hair product! 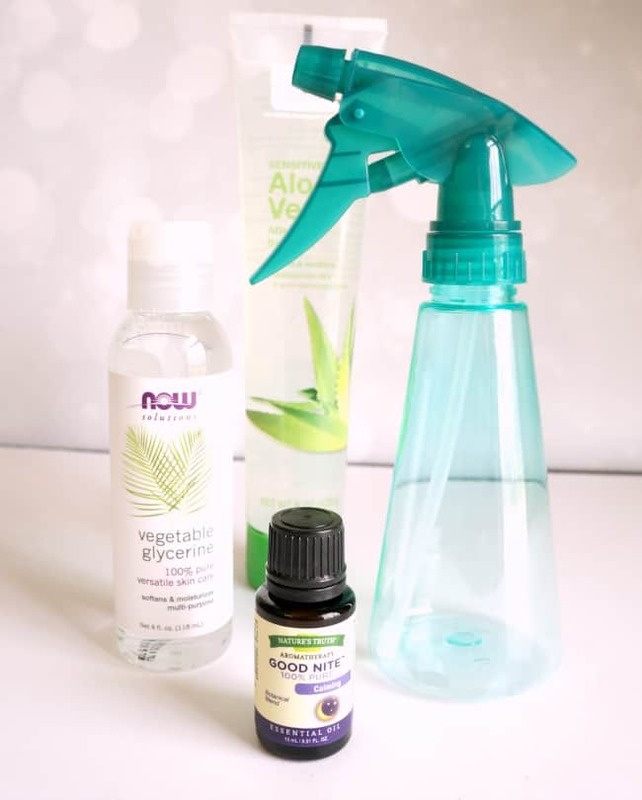 Use a funnel to add the ingredients to a spray bottle, then shake well. There are no preservatives in this detangler so I like to make it in small batches so the mixture stays fresh. 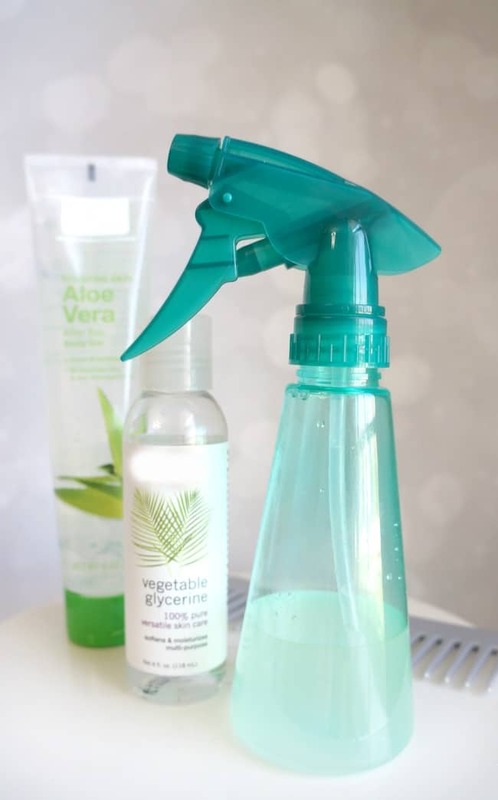 The aloe and glycerin are natural conditioners and make the hair very soft and manageable, I use just a few sprays on my daughter’s curly hair after a shower. 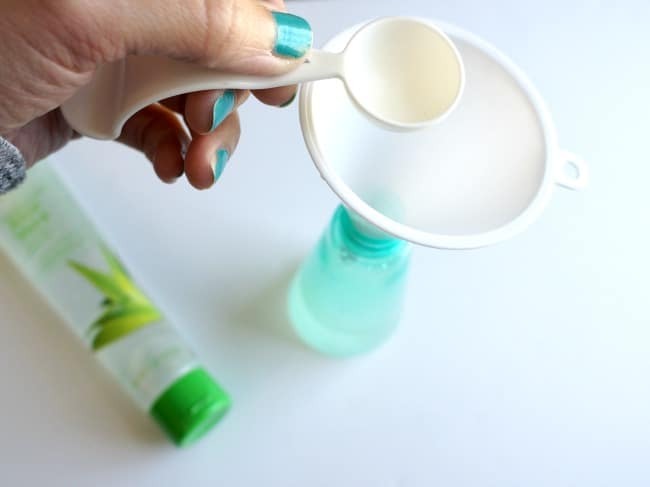 It can be used on dry hair as well. The lavender adds a pleasant smell but can be omitted if you are not fond of the fragrance. I like that I know exactly what is in this natural detangler. When buying products for my home I am conscious about what I use on my family. I want to know what is in the beauty products, soaps and cleaning agents I use so I can make an informed decision. This is especially important in the laundry room, even more so than our hair and beauty products, just about everything that touches our skin goes through the wash. NEW sulfate free all® fresh clean ESSENTIALS® delivers a powerful clean without harshness. It’s the laundry product I’ve been looking for. 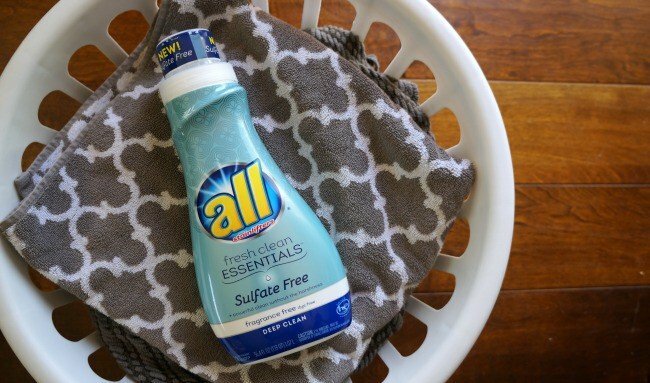 all® fresh clean ESSENTIALS® includes the ingredients on the back of the bottle so I know what ingredients are going onto my family’s laundry. It is one of the first laundry products to put ingredients out there for consumers to know what the ingredients are and why they’re essentials. This makes my purchasing decision so easy. 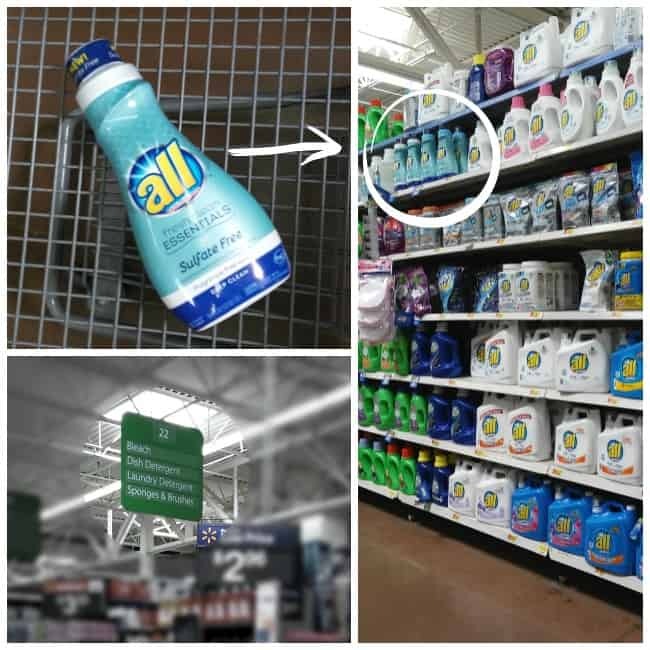 Walmart carries both fragrance-free and fresh scent varieties, they are on the top shelf in the laundry detergent aisle. Learn more about NEW sulfate free all® fresh clean ESSENTIALS® here. Treat your family to a natural detangler and some new powerful detergent without the harshness. 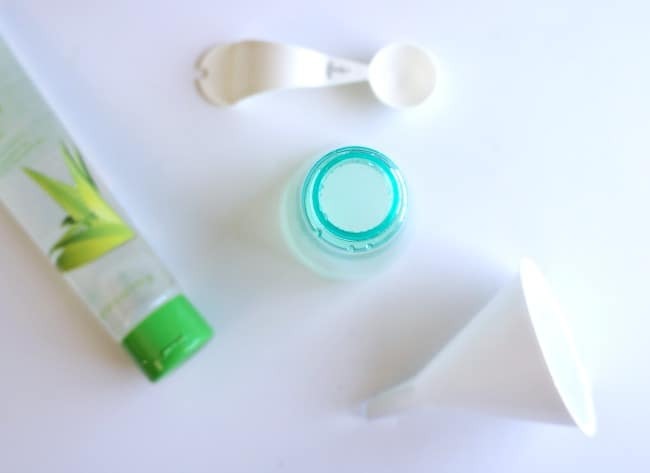 You’ll feel good knowing exactly what ingredients are touching your family’s skin. You have the recipe for the detangler, now head to Walmart with this coupon good for $1.50 off one (1) all® fresh clean ESSENTIALS®. This offer is valid from May 1 – July 31, 2017 or while supplies last.